Around the world, food has probably never been as safe as it is today. However, periodic crises have aroused consumer anxiety and contributed to a general lack of confidence in the agro-industrial system. The diverse nature of these crises increases governments’ and industry difficulties in predicting and tackling them. 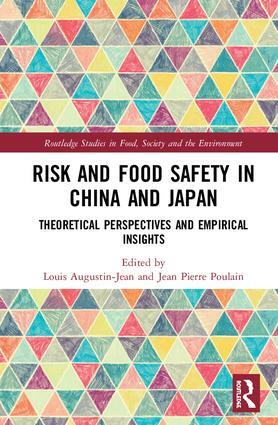 This book addresses the relations between risk and food theoretically and empirically through case studies from Japan and China. Part I of the book examines the interaction between theoretical aspects and decision-making. The book theorizes the links between food and risk and analyses the decision-making process in light of risks and governance. The relationship between food risks, governance systems and economic decisions is assessed to explore ideas such as the "pact of nutrition" and the theory of weak signals. Part II examines case studies from China and Japan in the aftermaths of recent crises such as the milk powder scandal in China and food safety following the Fukushima nuclear accident and tsunami in Japan. This book will be an important resource for scholars, academics and policy-makers in the fields of sociology, economics, food studies, Chinese studies and Japanese studies and theories of risks and safety. Chapter 2 Food Safety and Consumer Rationality: Is a "Food Pact" Possible? Louis Augustin-Jean is a Research Fellow at the Centre for Economic Research, the University of Paris-Nord (CEPN), France. Jean-Pierre Poulain is a Professor at Toulouse University Jean Jaurès, France, and at Taylor's University, Malaysia.